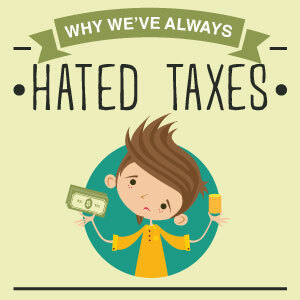 We hate taxes today, and the world is the richest per capita that it’s ever been. Imagine how much we used to hate taxes. Only 3/100 Americans believe they’re too low. The middle class sees taxation as a threat to their dignity. Also, that taxes benefit the rich and the poor. That’s similar to the increase in deaths due to drunk driving during the Super Bowl. 3 days on their Lord’s land. 3 days on their own land. 1 day off for Church. 868-1066:Danegeld was a tax of two shillings for every 100-120 acres. Tribute so that raiding Danes would not attack. 1337-1453: 100 years war fueled and paid for by oppressive tax policies. 14th century: Progressive tax imposed. Duke of Lancaster taxed at 520 times more than a common peasant. Income tax on the wealthy, office holders, and clergy. 1640’s: Excise tax on essential commodities increased to where a lower class family of four would starve. common lands used for hunting enclosed and peasant hunting banned. 1800: Precursor of modern income tax created to finance war vs. Napoleon, but repealed in 1816.